We've found these EarQ providers in your area; please call us at 800.338.0705 or click here to schedule an appointment. Step 1: Your hearing healthcare professional will review your medical history and ask questions to understand possible causes of your hearing difficulties. Step 2: Causes such as excess earwax will be determined through an otoscopic exam. If these causes are ruled out, more comprehensive hearing tests will be performed to get precise information about the type and extent of your hearing loss. Step 3: If hearing aids are the recommended solution, your professional will talk to you about your lifestyle and budget in order to help you choose the best devices for your needs. Be sure to ask your professional about a hearing aid trial so you can try before you buy! What should you expect at your first visit? 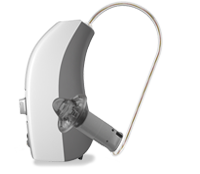 EarQ hearing devices include the most research and development than any other brand of hearing aid. We provide award-winning technology in hearing solutions to help you hear better and reconnect with your life. Feel confident in your hearing devices with four years of protection. America's Longest Warranty is exclusive through EarQ. 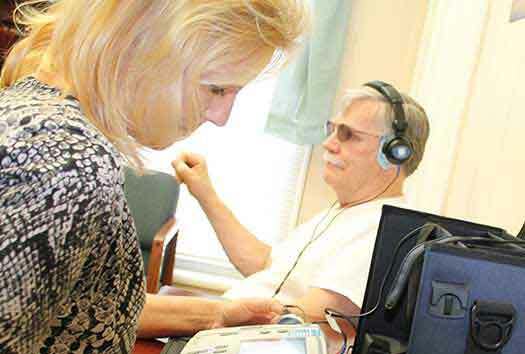 Discover how people of all ages benefit from better hearing and communication. At the 2018 Pro Bowl, EarQ and the NFLPA provided free hearing screenings and hearing aid fittings in an effort to promote healthier hearing in former professional players. 22 popular children toys exceeded the appropriate noise level, discover how to protect against hearing loss this holiday season. With so much excitement, it can to be easy to overlook one important fact: football games are noisy and have the potential to damage your hearing. Discover how people having limited success with hearing aids, have used cochlear implants to greatly improve their hearing experience. All soldiers know that the Purple Heart, U.S. Military�s oldest decoration, is given to those who are wounded or killed while fighting in the nation�s war. Discover the Purple Heart and its history. Could Your Lifestyle Cause Hearing Loss? Find out! By 2060, the amount of adults with hearing loss will nearly double. Which of these habits do you have that could be harming your hearing health? Did you know that hearing aids can provide life-changing benefits? Discover 8 reasons why you need to try hearing aids for 30 days. Is your child with hearing loss ready for an awesome school year? Discover 6 ways you can help them excel in the classroom. Discover these crazy hearing loss "cures" people have tried. Weird and Wacky, but which ones have you tried? Celebrate our great 50 states by checking out these interesting hearing-related facts from each! For example, which city is the quietest in all of the U.S.? Alzheimer's & Hearing Loss: How Are They Related? For National Alzheimer's Month (June), we present an exploration of the connection between the brain, the disease, hearing loss, and more. Six Ways to Celebrate Better Hearing and Speech Month! These tips can help you raise awareness for hearing and speech conditions, while also ensuring you and your family are communicating at your very best. Noise Pollution: Just as Dangerous as Second Hand Smoke? Noise-induced hearing loss has become a silent danger among Americans. Millions are exposed to it every day and may not be aware of its permanent consequences. EarQ and Oticon brought independent practice owners together in Syracuse, New York, to discuss the new strategies and innovative thinking that will allow them to stay competitive in an uncertain industry. Hear better with confidence through our nearly invisible device options. Find smartphone compatible hearing aids that allow you to stream phone calls, music, and more from your phone to your hearing devices! If you live in a humid environment or have a very active lifestyle outdoors, these devices are for you. Does your insurance cover hearing aids? See what's available through your employer. Don't need all the bells and whistles? Check out our low-cost devices. Learn about how we hear, types of hearing loss, and more. 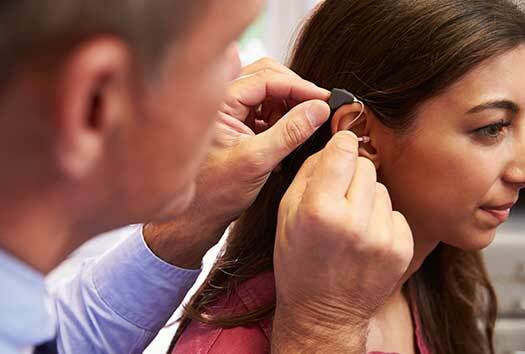 Find the perfect hearing solution for your child here.